Kingfisher Flat is a walk-in only campsite and is part of Mt Remarkable National Park, which is an area about 3 hours drive from Adelaide (and about 30 mins from Port Augusta). 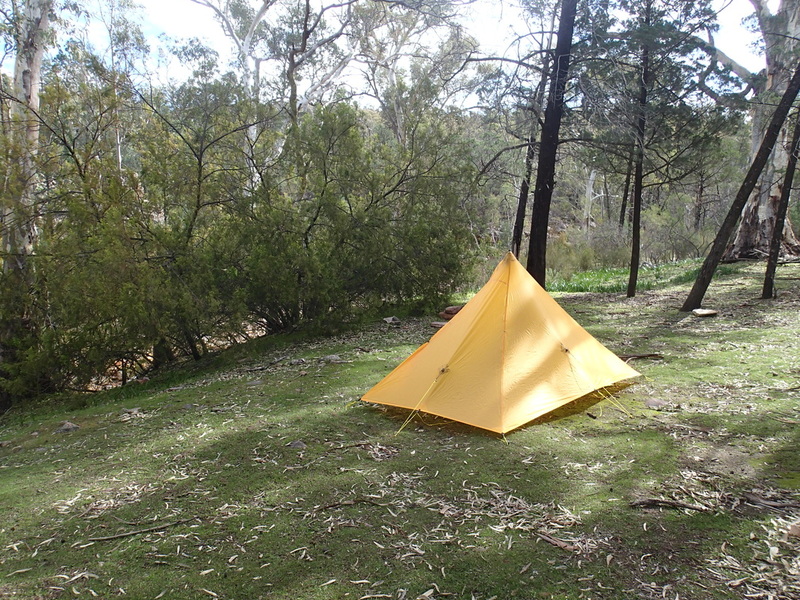 This area of the Southern Flinders Ranges is very popular with campers (majority who stay at Mambray Creek campground), and for those who love to bushwalk through the wide range of walking trails in this area. 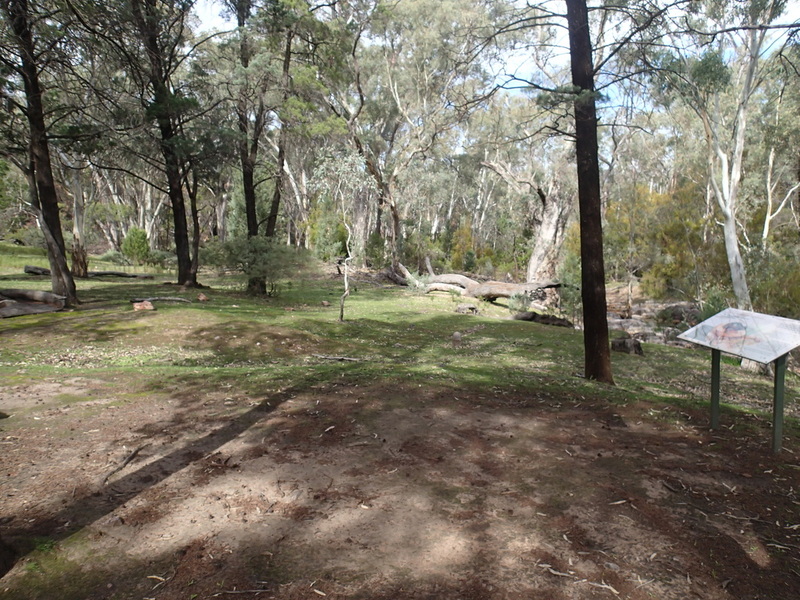 Whilst there are a range of walks in this Park, the campsite of Kingfisher Flat is on the way to Hidden Gorge - a popular trail - but past the initial turn off to Hidden Gorge. Head to the area that says Hidden Camp (another walk in only campsite, no amenities), and then keep following the trail to Kingfisher. The best way to see where Kingfisher is, in relation to Hidden Gorge is to view the map and see how to get there on foot. The whole trail is well marked. The walk is not difficult to the campground, relatively flat the whole way though the last 2kms (I think) felt like they went on forever, as its all on a fire track so it wasn't very interesting and the weather was warm, and I was fading a little in the heat and lack of practice with a backpack. You can access Kingfisher Flat from either Alligator Gorge or from Mambray Creek campground (our choice). The campground is very spacious, and with plenty of trees/shade around. There is a creek that runs through the campground, but was completely dry when we visited unlike the previous year when it was flowing very well. Lots of places to choose your camping preferred spot, and hammock campers are well catered for with the abundance of trees. 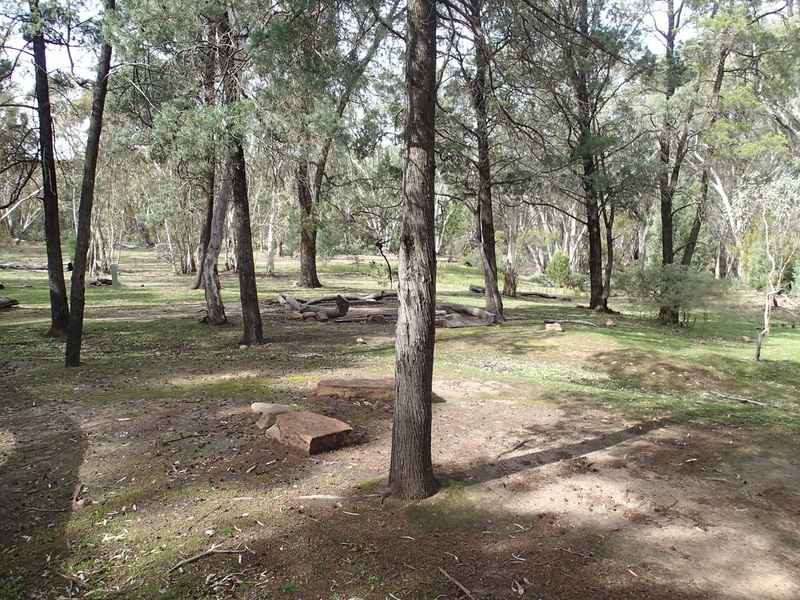 You can't camp at this site between November and 30 April, and no campfires are allowed at any time of the year due to its remoteness. We were the only ones at the campsite, so had the whole place to ourselves! Below is a picture of Hidden Camp - just in case you don't make it so far as Kingfisher Flat. It is a lovely place to stop and camp if you need to, and noone was there on our trip. There are a male and female drop toilet, quite modern, though not overly clean. Toilet paper was provided, but I wouldn't' want to rely on it always being there, so BYO just to be sure. The water tank was full, which was great but you still need to treat all water before drinking. Once again, I don't know if this is always the case with the tank being full, but it may be topped up by Parks SA for hikers on a regular basis. If not sure about water supplies, I would get in touch with the Park Ranger before any trip. As mentioned there are no campfires, but logs have been left around in circles for group campers to congregate, and pretend they are sitting around a roaring fire! 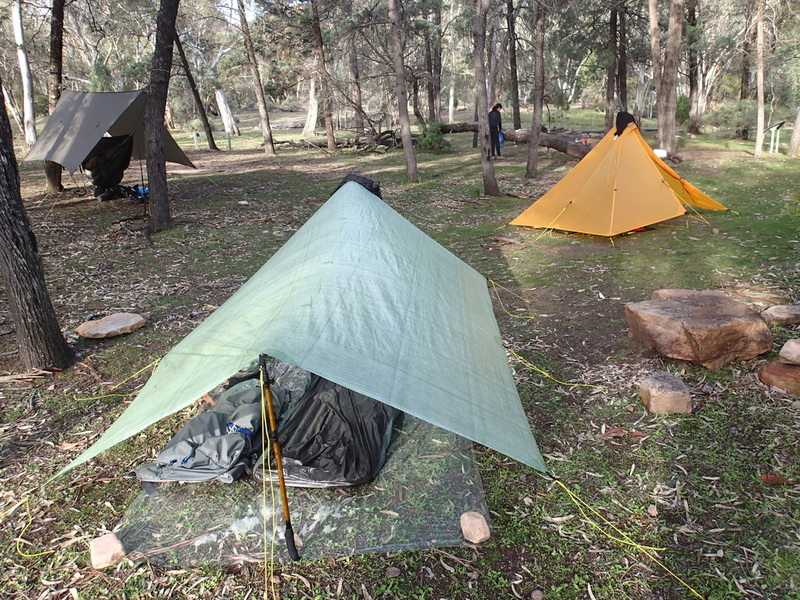 One of the main activities of this campsite is the journey to get there. The walk, whether you are coming from Alligator Gorge or Mambray Creek, is part of the experience. 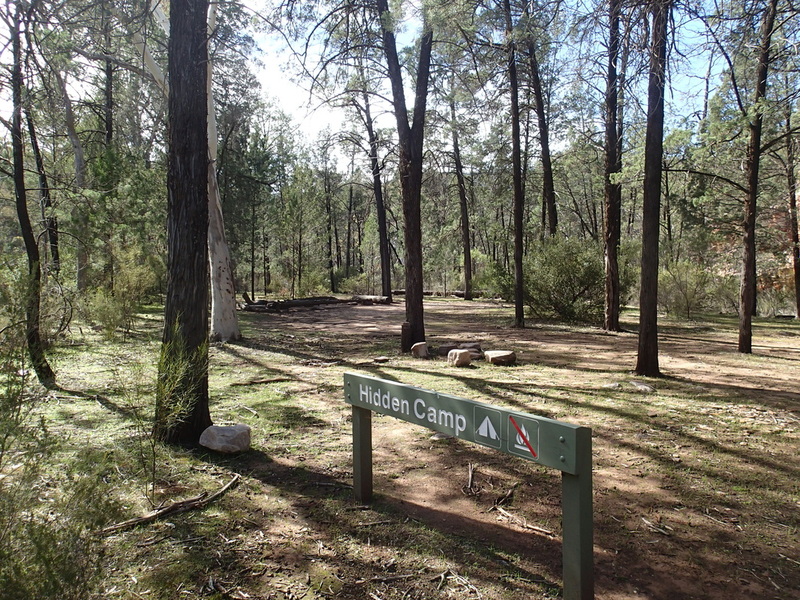 You may want to come via Hidden Gorge to this campsite, or leave the campsite via Hidden Gorge walk (which itself is 18km loop walk beginning and ending at Mambray Creek), so if you have camped overnight and are exiting via the Gorge, you have already done a large chunk of the walk. This latter option was how we did it. The walk in the Gorge is worth it, and its towering rock faces of red quartzite make Hidden Gorge a worthwhile detour on the way back to Mambray Creek. It's a walk along creekbeds (trickier when they have water in them), and some scrambling up rocks, but nothing that is too taxing. The temperature is a few degrees cooler in the Gorge, as there is plenty of shade and wind protection. On a warm day, this would be most welcome. Kangaroos and yellow footed wallabies can be seen in and around the Gorge. When on the walk through Hidden Gorge, we didn't see one other person the entire time, nor anyone until we returned to the Mambray Creek carpark. It was a gorgeous weekend, so it was surprising we didn't encounter other hikers anywhere!